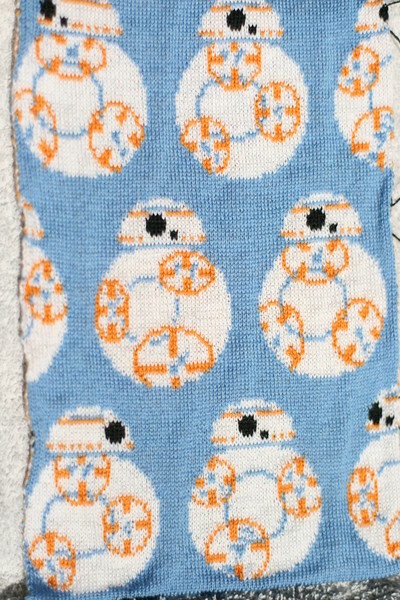 bb8 knit swatch i knit on friday december 4th, 2015 in cashwool. knit in double bed jacquard with full net backing. rows with black knit in 4 color dbj with full net, rows without knit in 3 color dbj with full net backing.